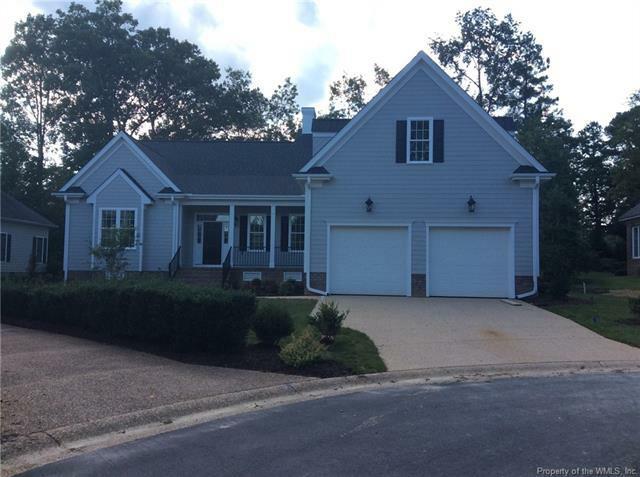 YES ~ NEW CONSTRUCTION ~ CAPE STYLE: ONE LEVEL LIVING AT ITS BEST WITH OPEN CONCEPT. BUILT BY MASTER CRAFTSMAN. OPEN FLOOR PLAN, NESTLED IN AN ESTABLISHED NEIGHBORHOOD OF FORD'S COLONY. ONE LEVEL LIVING W/3 BEDROOMS, MASTER SUITE HAS ITS OWN PRIVATE WING WITH WONDERFUL FULL BATH, FREE STANDING GARDEN TUB, LARGE WALK IN SHOWER WITH FULL SEAT, LARGE MASTER CLOSET WITH BUILT IN LARGE DRESSER. GREAT ROOM OFFERS LOTS OF OPEN SPACE FULL OF NATURAL LIGHT, WITH GAS LOG FIREPLACE, WITH BUILT INS (CUSTOM). LARGE CEILING FAN WITH LIGHT KIT AND REMOTE. KITCHEN/BREAKFAST WITH BRIGHT OPEN KITCHEN AND LARGE ISLAND LOTS OF STORAGE. SOFT CLOSE CABINET DOORS AND DRAWERS,AND PANTRY CABINET. BUYER'S CAN MAKE THEIR OWN INTERIOR SELECTIONS AS WELL AS PAINT COLOR DEPENDING ON THE STAGE OF THE HOME AT TIME OF CONTRACT. CONTRACTOR AND DESIGNER AVAILABLE TO HELP YOUR CLIENTS WIRH SELECTIONS. CROWN MOLDINGS, CELING FANS, BUTLER'S PANTRY AND MORE.